At the beginning of May, Oppo announced its partnership with Amazon & launched its new sub-brand, Realme. 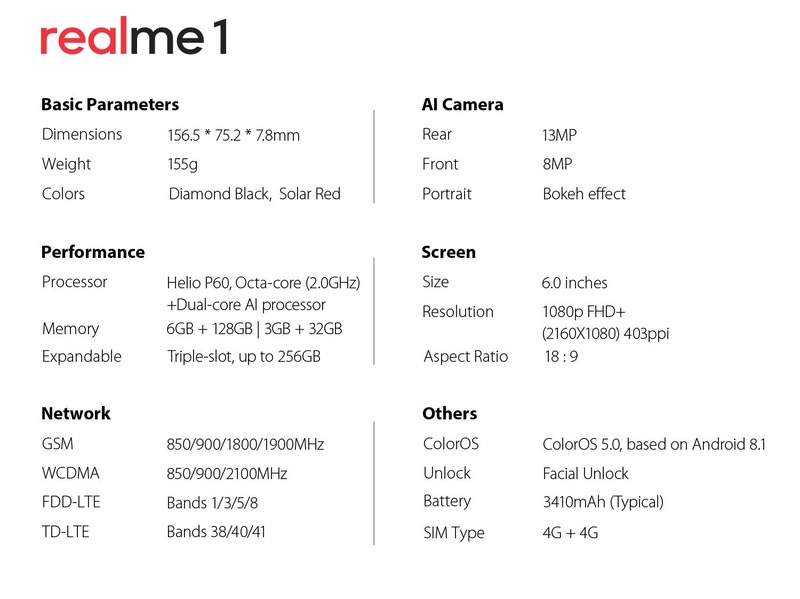 As expected, the Oppo Realme 1 launched today in India and the phone has some impressive specifications & an excellent price tag. Starting at Rs 8,990, the phone is going to compete with Xiaomi’s latest budget offerings under Rs 10K and Rs 15K. Also, the phone is going to be Amazon Exclusive & the first sale is set to happen on May 25 at 12 PM. The Design is surely one of those factors that differentiate the Oppo Realme 1 with all the other budget phones. The device has a Diamond Black design which is similar to what we saw on the Oppo F7 Diamond Black Edition. The company mentions that the back has a glossy effect, reflecting light in the same way as a diamond does. The 15 Tangent lines on the rear give it a unique look. The volume rockers are present on the left while the power button is on the right. 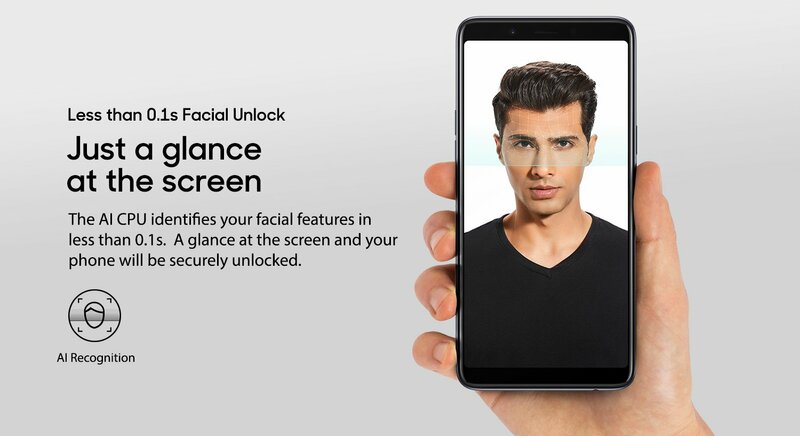 It is worth mentioning that Realme 1 has no fingerprint reader at all and it comes with Face Unlock only. 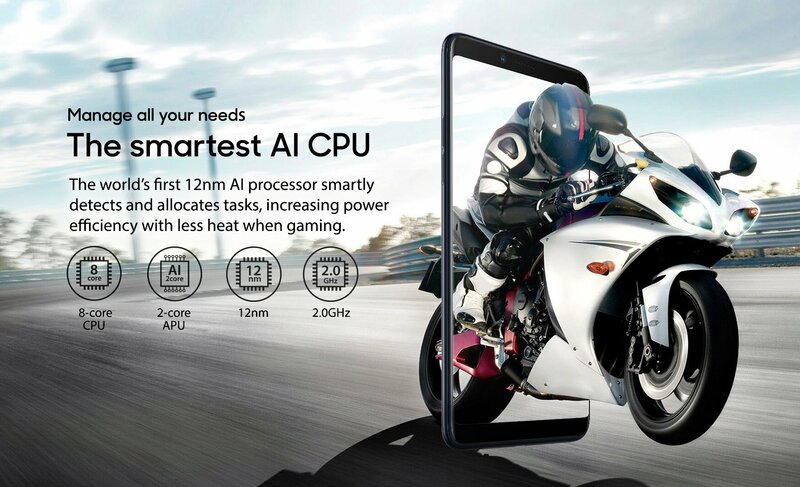 The company claims that the due to the AI chip under the hood, the face is identified in less than 0.1s. 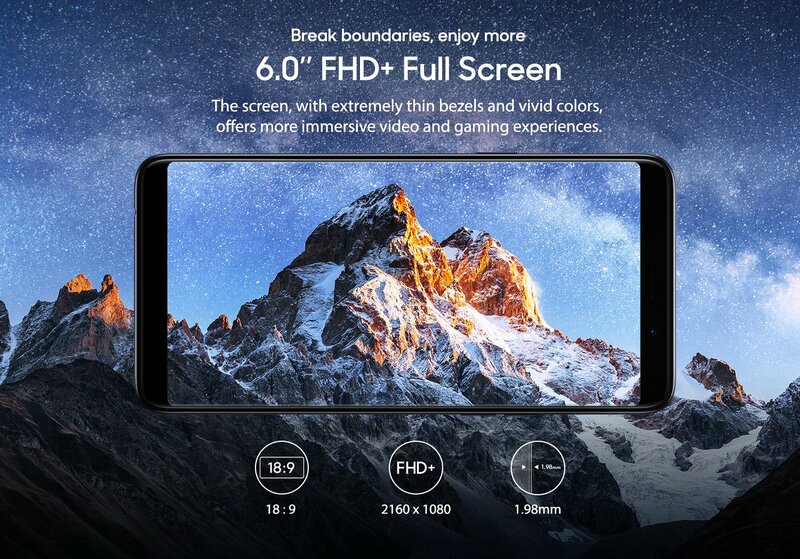 On the front, there is a 6.0-inch Full-HD+ display with rounded corners and a resolution of 2160×1080. There are minimal bezels on the sides, and the company says that the phone has 1.98mm side bezels. 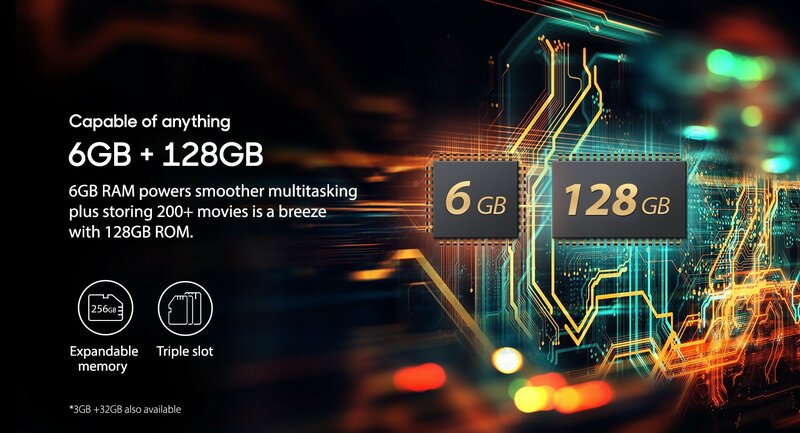 The processor is also one of the key features are the Oppo Realme 1 is powered by the latest Helio P60 chipset that is a 12nm chipset with eight core CPU, 2 Core APU and a clock speed of 2.0Ghz. The processor does have a lot of AI features. Storage wise, the phone has 3/4/6GB RAM and 32/64/128GB internal storage. The storage is further expandable up to 256GB via micro SD card, and it is good to see a triple slot, i.e., the user can use dual SIM and an SD card at the same time. Coming to the cameras, there is a single 13MP rear camera & an 8MP front-facing camera. 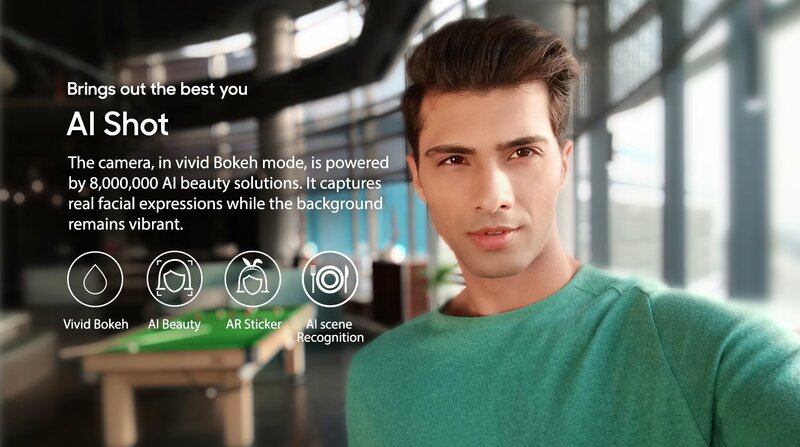 Both the rear and front cameras feature Bokeh Mode, AI Beauty, AI Stickers, AI Scene Recognition etc. 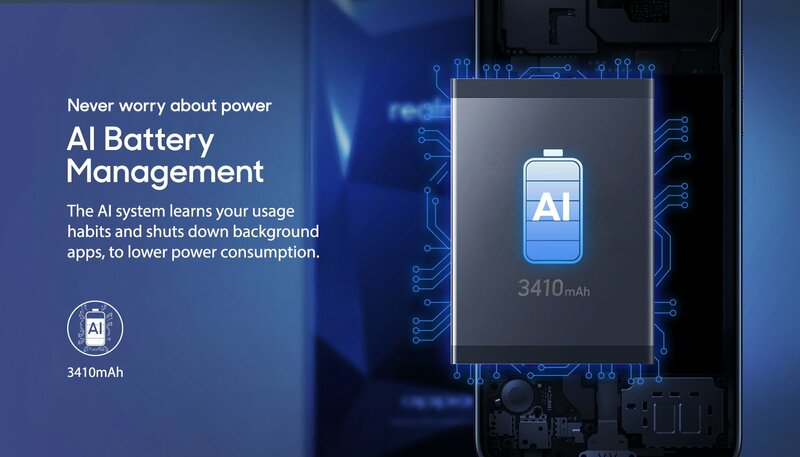 Under the hood, the phone has a 3,410mAh battery which is sufficient for a full day of normal usage, thanks to the 12nm chipset and all the AI capabilities. The background processes are automatically shut down to save the battery as the processor learns user’s usage habits. 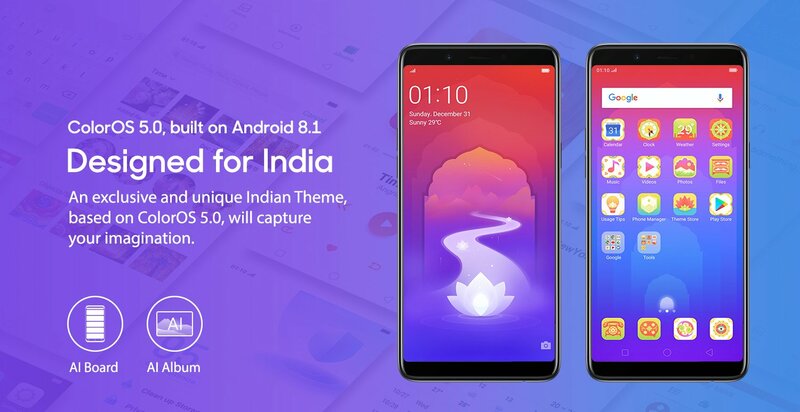 Android 8.1 Oreo runs out of the box with the ColorOS 5.0 on top. There are features like AI Album, AI Board etc. As mentioned in the beginning, the first sale is happening on May 25, and the phone will be available exclusively on Amazon India. The color options are Diamond Black and Solar Red.